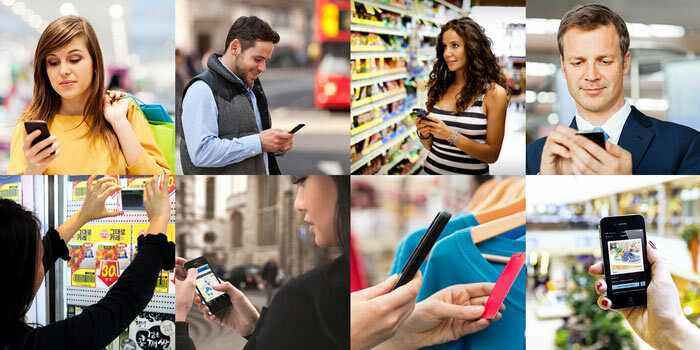 HEXUS has just received an email from Ofcom discussing the findings of its Smartphone Cities report. 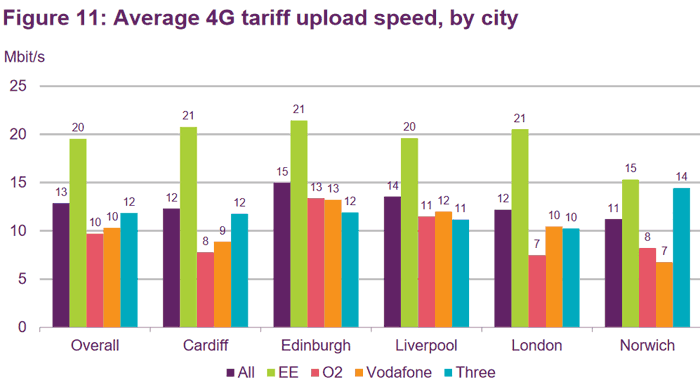 The report was published this morning and its purpose is to compare the mobile broadband and voice performance of the UK's four national mobile providers - EE, O2, Three and Vodafone across five major cities in the UK; Cardiff, Edinburgh, Liverpool, London and Norwich. The tests took place between November and December 2015. The intention of the Smart Cities report is to provide a real-world snapshot of how the UK's 4G networks are delivering in major cities. With this in mind the results will be interesting reading for many but not necessarily an indicator of network choice, depending upon where you live and travel from day to day and what kind of network coverage you might really need to keep in touch and so on. Not forgetting, of course, that network performance is just one of the many factors customers look at to decide upon mobile network provider. 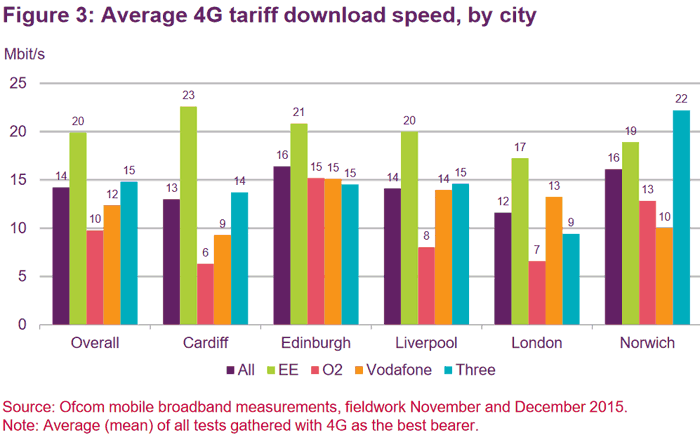 EE came out on top for the fastest average download speeds (20Mbit/s on average) on a 4G tariff, followed by Three (15Mbit/s), Vodafone (12Mbit/s) and O2 (10Mbit/s). Furthermore EE offered the most consistent 4G download performance; speeds in excess of 2Mbit/s were delivered in 92 per cent of its tests. This compared with 87 per cent for Three, 82 per cent for Vodafone and 69 per cent for O2. Directly inferred from the above, in web browsing EE was again top dog. The same BBC homepage load was quickest on EE. Interestingly, page loading failures were tallied by Ofcom and the following results gleaned: the BBC homepage failed to load in full in around one in ten attempts (11 per cent) on O2’s network, closely followed by Vodafone (9 per cent). This compares with failure rates of 5 per cent for Three and 2 per cent for EE. Video streaming was tested even though not that many users have the kind of data allowances to make the most of this kind of mobile activity. Again EE came out top dog in this regard. Last but not least, all four providers managed to complete the vast majority of calls to a landline, without the line being dropped. Ofcom admits that some of the networks tested my have been undertaking various degrees of network maintenance during the tests which could have had an impact on results. In other recent mobile network news it was noted that Vodafone is the most complained about mobile network operator with a startling increase in complaints observed in Q4 2015. While EE might look good in the mobile performance figures above, it shared joint bottom place, with TalkTalk, for broadband service complaints in the same quarter. Interesting, but then again EE always struck me as being poor value for the data hungry, so maybe they're using cost as a form of traffic control? Not good news for Vodafone though. Walked past the EE shop in cabot circus in Bristol the other night and every screen in the shop was showing a no connection to master server error! Lol! Great… lets review the cities where 90% of the networks have all their 4G etc and you can pretty much ALWAYS get a signal. Now how about doing the same in a less densely populated area, say like Norfolk where in most of it you can barely get 3G or in some cases 2G. Haha, people … sorry, I mean ‘people’ - those webbed appendages aren't quite right, in Norfolk have a need for mobile data signals? We're talking about a people who worship Delia Smith here! No, no, keep them off the internet, for the love of all that is good.